From weekend hikers to intrepid surfers, energy company Phillips 66 is full of people dedicated to industry-leading environmental practices. 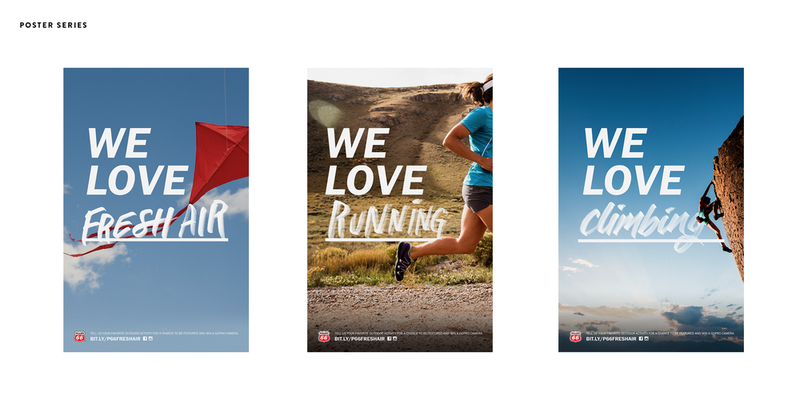 To give life to the company’s commitment to fresh air and environmental protection, we created a social campaign following the active lifestyles of real-life Phillips 66 employees. To find the best stories, we created digital and printed assets for Phillips 66's HQ, encouraging employees to participate in the campaign. With each mini-vignette we created, we elaborated on the story of a brand that’s truly all about fresh air.